His best points total throughout the final 10-seasons of his HOF career, the 1995-96 campaign would be Brett Hull’s 9th in St Louis, with his 83 points the highest total since 1993-94. The season also witnessed The Golden Brett score his 484th career goal, on April 8th 1996 vs Winnipeg. We have the stick Brett used to score his 484th, a contest in which he scored both goals in a 2-2 tie. An Easton HXP 4905 model with “Hull” visible over the inserted blade stem, the stick sports the original black tape over the blade and white over the handle/knob, with a handwritten notation over tape affixed to the lower shaft that reads, “484”. 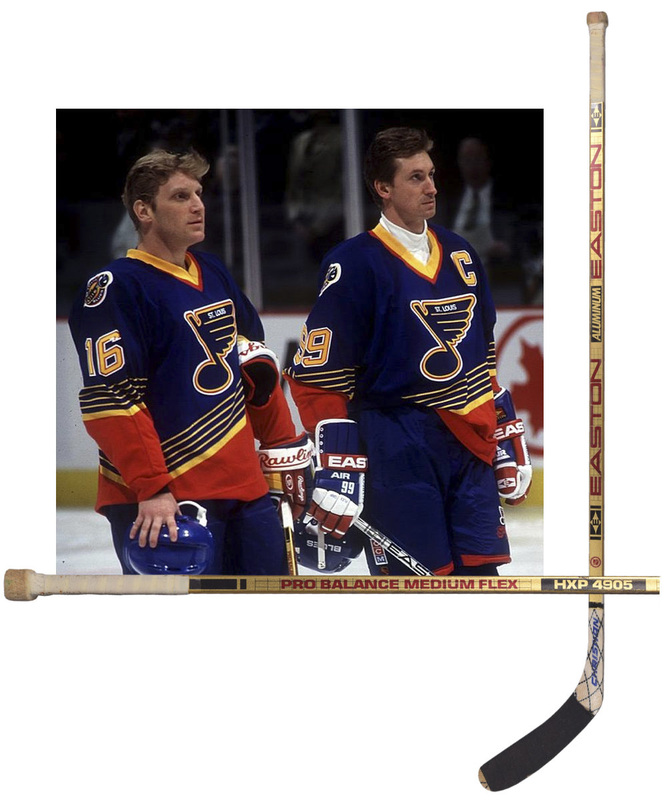 “16” has also been handwritten in thin marker over the Christian blade stem, with a signed LOA from Brett Hull to accompany. Just light use is exhibited on the important stick, with a tear to the blade tape over the reverse, along with a few marks to the shaft and some wear and paint transfer over the handle tape.